Great comment there just to get points. be interesting to see how well this works and if the birds will try it out. Just need a bit of sun! Lionel Richie just called and said he's pretty insulted it wasn't him you were looking for. 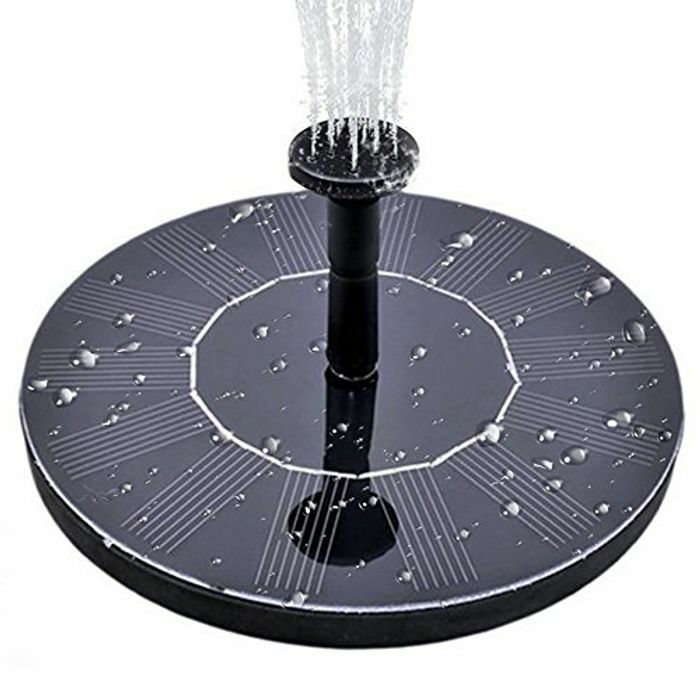 Too good to miss at this price and it just might keep the pigeons from sitting in the middle of my bird bath. Wonder how big this is. Could be good for the garden. Thank you for sharing this deal. Panel Size: 6.3 in (16 cm) I found these dimensions in the description on the amazon deal. Hope this helps. Absolutely fab find! Been after one at a descent price for a while. Just ordered, thank you very much! I'm on the edge of getting this. Has anyone got one who can give their opinion on it? The Amazon reviews are mixed. This will be a great addition to my half barrel pond. Hope there is enough light for it to work well. Thanks for sharing. Hmm mixed reviews on this, however for the price I am going to take a chance. Thanks for sharing.